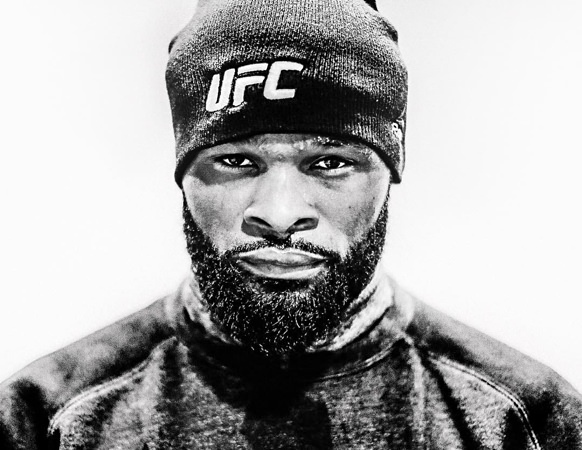 My Morning Routine: UFC Champion Tyron Woodley | Valet. 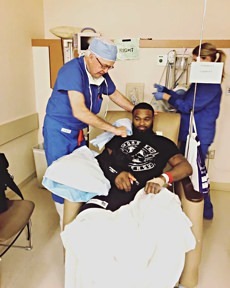 Reigning UFC welterweight champion Tyron Woodley doesn't do anything half-assed. The former college wrestler has had some of the most vicious KOs in UFC history and defended the belt three times over the best the welterweight division has to offer. When he's not training or in the ring, you could say the Ferguson, Missouri-native is preparing for his post-fighting life. One that with any luck might one day resemble Dwayne Johnson's. Over the past few years Woodley has gained recognition for his acting and action stunt skills in Hollywood thanks to his work on Olympus Has Fallen and Straight Outa Compton. His latest film, Office Uprising, will come out later this year. We caught up with Woodley in between training sessions to see how he keeps it all straight and gets through his day. I wake up at 6 am. No questions. But that means I sometimes only get five hours of sleep. But I shoot for at least seven. Before I do anything ... I gotta start fresh and brush my teeth and wash my face. I usually don't go for a big breakfast. I prefer something quick and easy. I usually blend a protein shake. My go-to is a fruit smoothie with bananas and some mango, a scoop of protein powder and almond milk. Maybe I'll have a bowl of oatmeal with raisins and brown sugar too. After a little quiet time to myself, I'll get my kids up, get them ready for school and make a quick breakfast. Then walk them to the bus stop. I make my own bulletproof coffee. It starts with my Keurig. Then I usually add some raw sugar, a little Himalayan salt, and some MCT oil, instead of the usual butter. 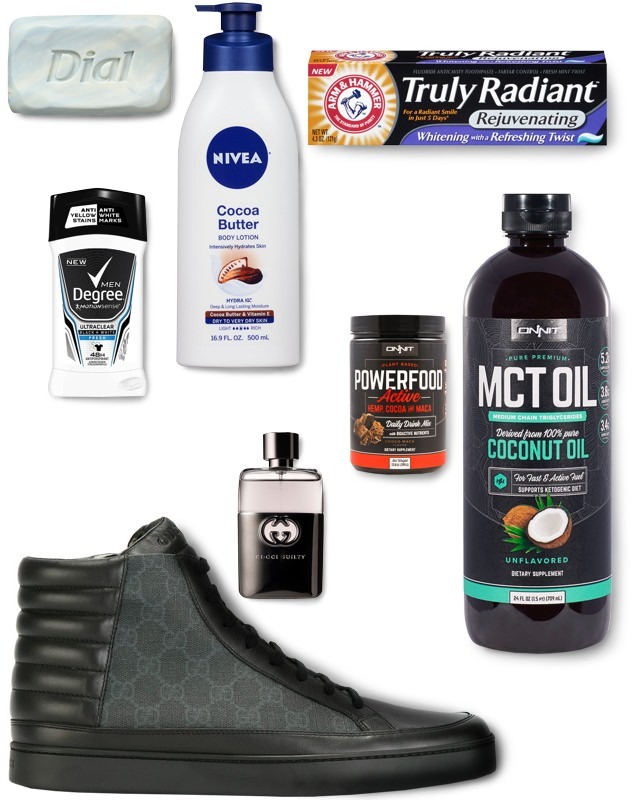 I use Onnit's oil, which is sourced from coconuts. MCT (medium-chain triglycerides) is just a type of fat but it's been linked to plenty of health benefits. Just make sure you mix it up to incorporate the oil. It's so important to take a few minutes, just for yourself and breathe. My days, especially lately, have been so busy, and I really need that time before I head out for the day. I try to keep in mind that it's just 24 hours and I will get through the day one step at a time. When getting ready, I keep it simple but I'm pretty particular. I've used the same Arm & Hammer toothpaste and Dial soap for years. I really like the clear Degree deodorant and I swear by Nivea's cocoa butter lotion. And before I leave the house, I spritz on some Gucci Guilty cologne. My style is extreme. By that, I mean I'm usually in sweats and workout clothes or I'm in a full suit. I'm hardly ever in between, that is just my lifestyle right now. But I do love a good pair of Gucci sneakers. TheraBand resistance bands are probably my favorite rehab and recovery tool. Plus, they're easy to travel with.